Nigeria, France and Chad Teetering on the Brink of War. Three Nigerian Air Force jets headed towards N’Djamena,-the Chadian Capital, are intercepted and forced to turn back a Chadian Mig-29 fighter jet. French Air Defence radars detected a pair of Nigerian Air Force Alpha Jets making a very low high speed approach direct flight towards the Chadian Capital N’Djemena. The Air Defence site alerted the intruders they are in violation of Chadian airspace and asked the intruders to steer clear off the Capital. The Alpha Jets ignored the warning. Minutes later a pair of Chadian Mig-29 fighters were vectored to intercept the intruders, at which point the Alpha jets reversed course and flew back into Nigerian airspace. In another incident, a French Air Force fighter jet intercepted and forced back a Nigerian Air Force ATR-47 Intelligence gathering plane that penetrated into Chadian airspace and was circling around the Chadian capital spying on Chadian/French air defense sites located at the airport and transmitting data back to Nigerian command stations in real time. 72 hours later Nigerian satellites detected a pair of Chadian AD MiG-29 interceptors in an open airfield undergoing maintenance. 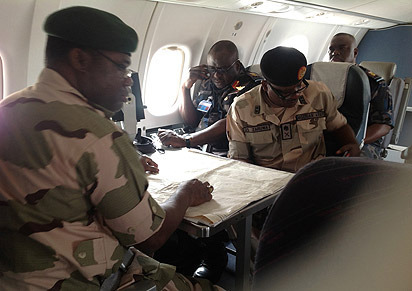 Taking advantage of this another NAF ATR-42 spy plane flew at over Chadian airspace unchallenged ,collecting and transmitting data on French and Chadian military formations for nearly an hour before flying back into Nigerian airspace. Furious the Chadian Ministry of Defense immediately lodged an official protest against overflights by Nigerian surveillance and combat aircrafts via a telephone call to Aso Rock. President Buhari apologised, saying the pilots may have lost their way and not realised they were violating Chadian airspace. In a third incident two Nigerian Air Force Mi-24 Hind helicopter gunships conducting COIN operations were in hot pursuit of a group of fleeing Boko Haram fighters. The terrorists fled into Chadian tertitory, the pair of Mi-24 gunships entered Chadian airspace and continued its pursuit. They were detected by Chadian Air Defence radars and ordered to leave. Shortly after they were ordered to leave two other Nigerian Air Force Alpha Jets were detected flying at low level and in high speed heading towards the same direction the two attack helicopters went. This time two French Air Force Mirage F1 fighters were bscrambled to intercept the Alpha jets. Within minutes the Mirage fighters established visual identification and called for the Alpha jets to turn back or tis getting shot down. The Alpha jets ignored the warning and continued with their flight. Moments later two other aircrafts was detected by Chadian/French Air Defence radars inside Chadian airspace. These new contacts were on afterburner on supersonic speed, faster than the Alpha jets. The Chadian/French Air Defence operators were alarmed by these intruding aircrafts coming out of no where and scrambled two more Mirage F1s to intercept the intruders. Visual identification confirmed the intruders as Nigerian Air Force F-7N jet, a high speed interceptor, faster than the Mirage.The Mirage pilots warned the F-7N’s over the radio to break away and egress or risk getting shot down. The F-7N pilot ignored the warning and maintained its flight course until the Hind Attack helicopters and Alpha jets were safely outside Chadian airspace before egressing and returning to Nigerian airspace. Though risky, this hair raising event was meant to send a clear message to the Franco military alliance : Nigeria retains the will and capacity to carry out airstrikes deep inside Chadian territory and relying on French Air Force Mirage for its air defense will not change the status quo. Nigeria’s robust ISR/ISTAT/ELINT capabilities utilisating space and air assets means it can bypass whatever the Chadians can throw at it at will. Now you will be forgiven if you think this is a page from a Tom Clancy novel, except its not. These are real actual on going events. But what happened? How did we get to the point of actual brinkmaship? For answers we need to go back in time,nearly 60 years ago.It started with a bomb. In 1960 newly independent Nigeria and Ghana condemned in the strongest terms a series of nuclear destinations carried out by the French in the Sahara desert, and warned against further atomic weapons testing on African soil. Not long after France explodes a second nuclear test in the Sahara desert. This provoked swift condemnation from Nigeria and Ghana, warning of a diplomatic consequences should France decide to use Africa as a guinea pig for nuclear testing in her hid to become a nuclear power.The French insisted proper care had been taken to prevent radioactive fall-out from affecting people living in the remote part of the desert and called Nigeria Ghana’s bluff in threat of retaliation. True enough the France conducted a 3rd nuclear test, this time politically timed on the eve of the Africa summit in Casablanca.The bomb contained plutonium with an explosive force equal to 14,000 tons of TNT- half as powerful as the FAT MAN atomic bomb dropped on Hiroshima. This unerved the Ghanaians, who backed down from their threats of consequences, leaving Nigeria standing alone. Angered by the perceived cowardice from her sister nation, Nigeria expelled the French ambassador and his entire staff and closed Nigeria’s ports and airports to French ships and aircrafts. The world was stunned. This was the very first time in history a black African nation will be standing up to world power. The landlocked French colonies Chad and Niger sent diplomatic emissaries to Lagos, urging Nigeria to reverse its decision as it was causing serious economic effects on these landlocked French colonies. The move was reversed, but the battle line has been drawn.No amount of protest from a black African nation will prevent France from carrying out more nuclear tests. Nigeria’s bold action in the face of a colonial power did not go unnoticed in not just Africa but beyond. While French plundered West Africa languished in mysery, English speaking Nigeria was on a meteoric rise.English speaking Nigeria became the Pride of the British Empire. The Queens visit to Nigeria infuriated the French. British and American influence in West Africa remained strong. The first ever transatlantic telephone call in the world between U.S President John F Kennedy and Nigeria’s President Tafawa Balewa further epitomized Nigeria’s growing diplomatic power in the global arena. The French realized Nigeria cannot be contained, it must be broken up. When the Nigerian civil war erupted, France secretly armed Biafran separatists in a bid to weaken British and American influence in Africa. Providing and channelling weapons and technicians to Biafra via Cameroon. Nigeria’s former colonial ruler – Britannia on its part supported the “One Nigeria” policy and covertly provided weapons and military intelligence to Nigeria. The United States in an act of political correctness declared itself neutral, while the Soviet Union gave Nigeria full support. France, under De Gaulle saw the conflict as an opportunity to weaken the ANGLOPHONE GIANT of West Africa, which was sorrounded French speaking colonies closely aligned with France, and at the same time have access to the regions oil. A move that angered Britannia. Paris supplied Biafran seperatists 800 tonnes of weapons, assault rifles, bazookas, grenades and cannon in just 11 days in 1969. French ingenuity knows no bound when it comes to exploiting Africans via its divide and destroy tactics. French covert support for Biafra did not stop them from selling weapons to the Nigerian government.The United States was alarmed to see a French crew fly a B26 bomber into Biafran territory. More arms smuggling came to light when a weapons laden plane belonging to Air France exploded in Guinea Bissau. French actions needlessly prolonged the war, leading to untold suffering on a scale most Europeans cannot hope to comprehend even though they knew Biafra stood no chance in hell against Nigeria’s Federal forces. In May 1981 Nigeria and Cameroon nearly went to war over Bakassi when Cameroonian gendarmes opened fire on Nigerian coast guards, killing five Nigerian customs agents and wounding three. That same year Beninese troops made incursions into Bakassi, provoking public demand for punitive actions and war by Nigerians. In May 1987, Cameroonian troops under the cover of darkness occupied sixteen border villages in Borno State until it was repulsed by Nigerian Army units. Lagos, then Nigeria’s capital issued orders to state governorsto take military reprisals against any belligerent neighbouring country. In October 1989,Cameroonian gendarmes abducted four Nigerian customs officials on routine border patrol duties. Irritated by these incursions Lagos took measures to strenghten its border with Cameroon. Nigeria fenced its entire international boundary to enclose each border beacon and augmented the border agents by 1,000. 2,100 immigration officers were given a four week weapons training course, mounted surveillance equipments and deployed 25 speedboats, 1400 Land Rovers, patrol cars and 209 motorcycles. It should be noted that through this period Nigeria no military presence in the region, even after unprovoked attacks the Nigerian Customs Service and Coast Guard were responsible for patrolling the border. The Cameroonians seemed to not know the difference between Customs agents weilding rifles and the Nigerian Army. Emboldened by Nigeria’s seemingly lacklustre response to Cameroonian aggression the Cameroonians finally pushed the envelop. Faced with growing calls and militarism for Anglophone autonomy in Southern Cameroon , the Biya government resorted to open oppression in which many Nigerian civilians in Cameroon were killed. Many were forced out of Cameroon during many embarrassing and harassing tax drives by Cameroon Gendarmes. In reaction to the harassment of Nigerian traders and fishing vessels by Cameroonian Gendarmes Nigeria recalled all customs and Coast Guard agents in the restive Bakassi area and deployed a thousand well armed Nigerian soldiers to the peninsula. Cameroonian Gendarmes provoked a shooting incident . Details of what transpired are murky, but it resulted in a shootout between Nigetian troops and Cameroonian Gendarmes, that resulted in 30 Cameroonian troops dead, 3 captured. The surviving Cameroonian troops abandoned their post and fled, resulting in Nigerian troops illegaly occupying the two Islands on the Cameroonian side of the peninsula. Unable to find any semblance of a response Cameroon decided to take the border dispute to the International Court of Justice for its adjudication.Cameroun’s application was deposited on March 29, 1994. Skirmishes instigated by Niger Delta militants nearly brought Nigeria and Cameroon to full scale war. In the ensuing crescendo Cameroonian authorities made a claim to parts of Obudu ranch in Calabar, Cross Riverd State, claiming that their boundary stretches down to Obudu ranch. Gov. 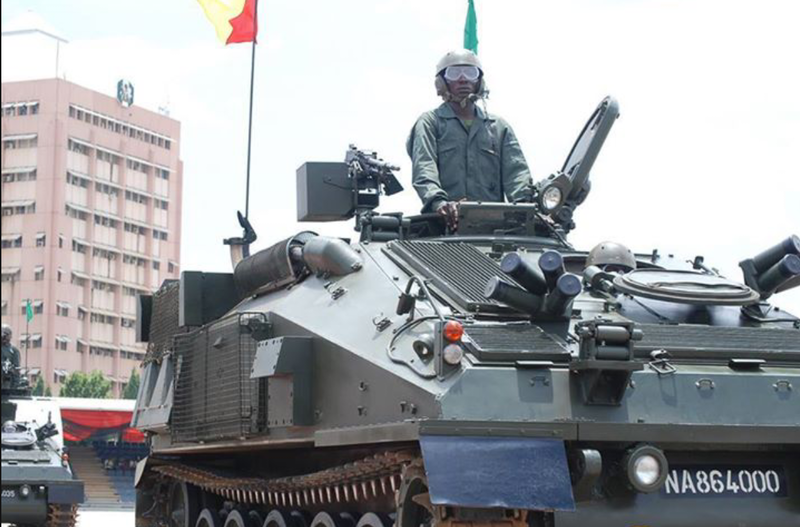 Liyel Imoke called the claims ridiculous and warned of a massive Federal response should Yaounde choose the path of military adventurism on Nigerian territory. The discovery of a French military airbase just 5 miles from Calabar prompted the Nigerian military to prepare for a potential showdown with Cameroonian forces backed by possible French Air power. Unconfirmed Intelligence report warned of a potential Franco Cameroonian invasion of Calabar and the subsequent annexation of Obudu, Calabar -IMMINENT. Nigerian troops capture eight French nationals fighting under Boko Haram after an army raid on a Boko Haram logistics and supply base. An angry France demands the men be handed over to Cameroonian or French authorities. The Obama administration blocks Nigeria’s effort to buy arms to fight Boko Haram, not once, not twice – Three times. Obama snubs Nigeria the world’s 4th largest democracy, critises Nigeria’s human rights record and its treatment of captured Boko Haram fighters, and subsequently orders the release if $35 million and defense assistance to all three of French speaking African dictatorship who all share borders with Nigeria. British Intelligence secretely informs the NIA of French and Chadian interests in sponsoring a Boko Haram led francophone invasion of Nigeria’s resource rich northeast. GCHQ warns the lame duck Goodluck Jonathan about the risk posed by Nigeria solicitating for global assistance to combat an externally orchestrated devastating occupation of Nigeria. President Jonathan proves to be the worst thing that ever happened to Nigeria, when he paid millions of dollars to the Chadian leadership Idris Derby for a SCAM ceasefire deal with Boko Haram, that was nothing more than a ruse to buy Boko Haram time to replenish its war machine and regroup to continue its bloody campaign of destruction. An unmarked helicopter that crashed in Yola was found to be carrying $6 million in cash. According to eye witness reports, two white men set the helicopter on fire with millions of dollars it was to ferry to Boko Haram. A political aid to the Chadian strongman Idris Derby is apprehended at the Nigerian border with advanced SA-6 surface to air missile, a weapon not even in the Nigerian Army inventory, to be delivered to Boko Haram. According to the report, Mahamat Bichara Gnoti, personal aid to Chads president claimed Idris Derby gave him the funds to purchase the weapons for delivery to Boko Haram.He had waved a “presidential pass” issued to him by Idris Derby in order to get past border guards, but the Nigerian border guards were not impressed and was ordered to stop with a gun pointed at his forehead. The deadly weapons were found after searching his convoy. Despite these hard evidence the stupidity of the Jonathan administration is defies human logic, even the French cannot believe their luck. President Buhari defeats the lame duck incumbent Goodluck Jonathan in the 2015 Presidential election. Idris Derby is reportedly not pleased by the outcome. Before officially moving into the Aso Rock Villa due to renovation work, Nigeria’s new president is given a classfied briefing by the Intelligence Agency. At this point war is innevitable. President Buhari cannot believe his eyes. History is repeating itself again !! An alarmed Buhari summons his security service chiefs and fires them. He appoints new service chiefs and gives them 6 months to recapture all lost territories and deal a final death blow to Boko Haram, to free up forces for the potential defence of the mother land. The Nigerian Navy goes on man acquisition frenzy on a scale not seen in recent history. Acquiring new stealth patrol vessels and building up the largest sub Saharan African naval fleet in 16 months. France builds two more surveillance facilities in Niamey and Njamena. The United States follows suit with a Reaper Drone base in Cameroon. The Nigerian Army makes plan to Increase he size of the army to 200,000 men, and setup a weapons training centre for the Nigerian Civil Defence Corps. Nigeria ramps up its attack helicopter fleet to nearky 40, receives the first batch of brand new advanced Mi-35 attack helicopters with night vision capabilities from Russia. Cameroonian BIR (Special Forces) kills nearly a hundred Nigerian fishermen in the Bakassi peninsula over their inability to pay $300 fishing levy. The lucky survivors of the attack arrived back in Nigeria with injuries. An ill President Buhari orders a covert response. Nigerian Navy SBS Commandos in a surgical operation ambush and attack a Cameroonian logistical boat carrying 37 Elite Cameroonian military unit transporting equipment for construction work at a French military airbase on the Bakassi peninsula. Special care was taken to make sure the bodies and the boat never recovered. Intelligence reports suggests U.S and Reaper Drones carrying Recon operations over Nigerian military bases. The Nigerian military issues a mandatory order recalling hundreds of retired generals, officers and soldiers to 10 combat and defensive formations across Nigeria’s borders. The DRRR (Department of recruitment, retirement and reserve) is reactivated. Until Now The department has been dormant. Nigeria’s Defence Headquarters begin working round the clock to reactivate the nation’s reserve forces in the shortest possible time.The decision to reactivate the nations Reserve forces is to augmemt the overstretched military, which is currently engaged simultaneously in nearly 10 major battlefronts across the six geopolitical zone of the country. There comes a time when we must come to realise there is something going on. Boko Haram has been technically defeated. Their once impregnable fortress is now a training ground where sporting and choosing competitions are held. Boko Haram as an existential threat to Nigeria is no more. Yet why the spike in mikitary activities? Why the emergency recall of retired army officers and generals? I leave you to fill in the blanks. Previous Post Previous post: Nigeria’s Short Range Air Defense System.